Electoral Staff from Independent Election Commission (IEC) opening ballot boxes for counting in Herat, Afghanistan, on 18 September 2010. With just hours to go before Saturday’s parliamentary elections in Afghanistan, the UN has been expressing concern at the uptick in deadly political violence in the country, whilst encouraging Afghans to exercise their right to vote. In a statement released on Friday, the UN mission in Afghanistan (UNAMA) called for the elections to be held in a safe and secure environment, at a time when Taliban extremists have indicated their intention to attack schools used as polling stations. UNAMA urged the militants not to threaten civilians or attack them simply for exercising their right to vote. Following the killings, voting in Kandahar will be postponed for one week. United Nations Secretary-General António Guterres and the members of the Security Council added their own calls for Afghan voters to be protected from political violence. 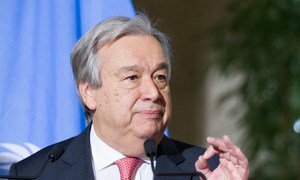 Denouncing lethal attacks targeting electoral activities in Afghanistan as the country prepares to go to polls later this week, United Nations Secretary-General António Guterres has called on all parties to ensure a peaceful and orderly elections. 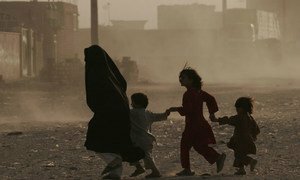 The conflict in Afghanistan continues to exact a terrible toll on civilians, with the highest number of fatalities recorded for the first nine months of this year, since 2014, a United Nations report has revealed.